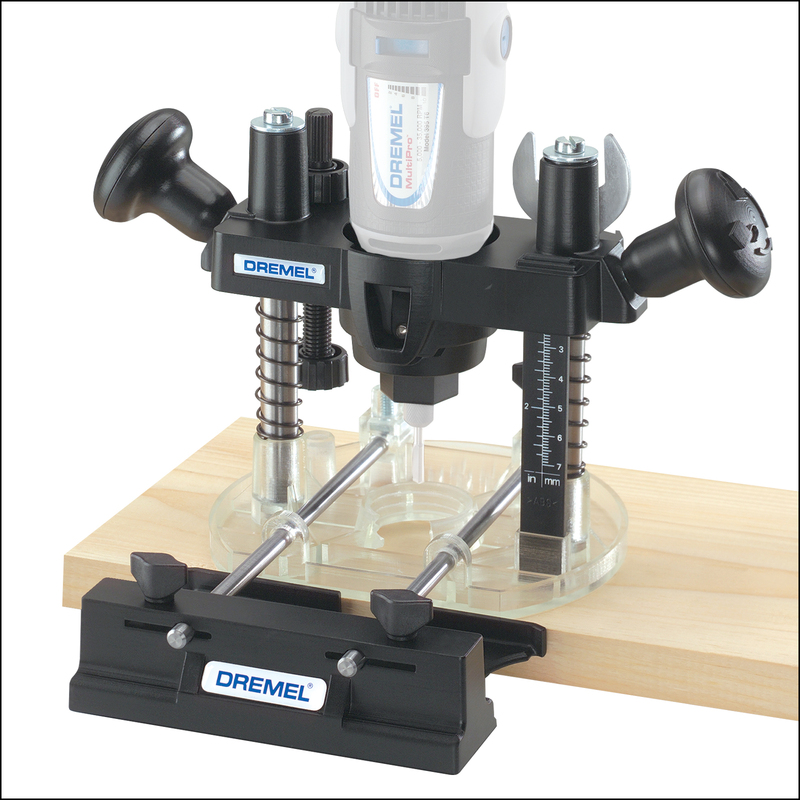 Use this Plunge Router Attachment with your rotary tool for edging, grooving, freehand routing and circular cuts. Includes spring-loaded rotary tool mounting plate with twin handles for accurate plunge routing (rotary tool sold separately). Features a quick-release depth stop, depth gauge, clear base for good visibility, 0 to 5 inch edge guide. Also cuts circles up to 11 inches in diameter.